“The Response” memorial in Newcastle sits in the public gardens of the church of St Thomas. An extraordinary scene is depicted in the form of a bronze group of dozens of highly detailed figures, those in front marching in step with two drummer boys and those falling behind to bid farewell to wives, children and friends. This remembers the massing of the 5th Northumberland Fusiliers in April 1915, and their march down the Great North Road and through Newcastle to its Central Station. Out of the 150,000 men and women from Birmingham who served during the First World War, 12,320 were killed and 35,000 wounded. 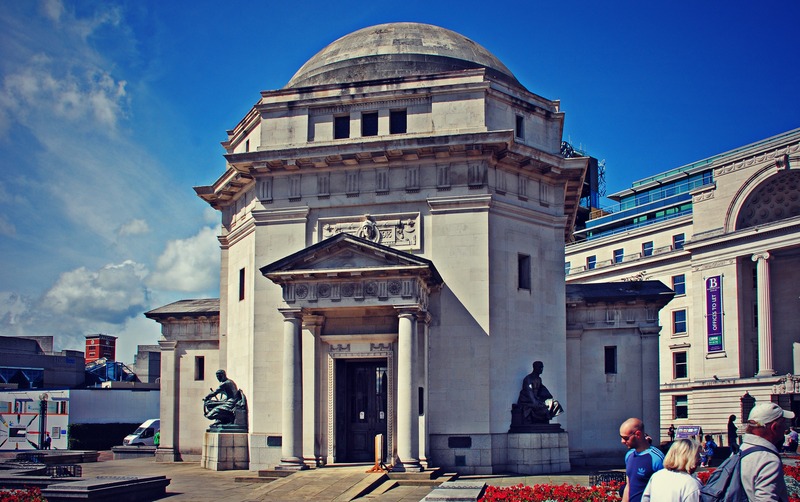 In 1920 a design competition among Birmingham architects for a war memorial was won by S.N. Cooke and W. Norman Twist. The winning design was The Hall of Memory which the people of Birmingham truly made their own. 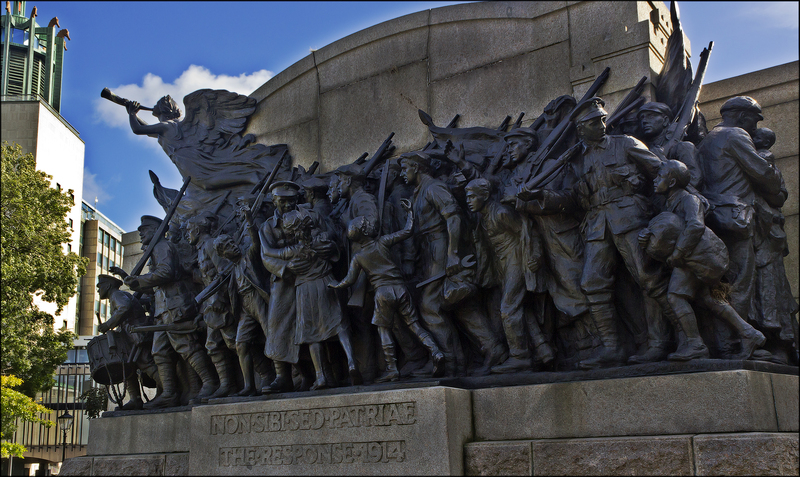 The overall cost of the memorial was £60,000 – raised entirely by public donations – and almost all the design and construction work was by Birmingham craftsmen. The memorial is in a prominent position in Port Sunlight village, which housed employees of soap manufacturer Lever Brothers. A group of bronze figures, made up of three soldiers, two women and six children, cluster around the base of a cross. In a powerful and melodramatic tableau the soldiers are depicted with their guns raised, defending the women and children behind from an impending imaginary invasion. The sculpture makes clear distinctions between the genders and their separate, but equally significant, roles during wartime and powerfully reflects the emotional cost and impact of war on the home front. 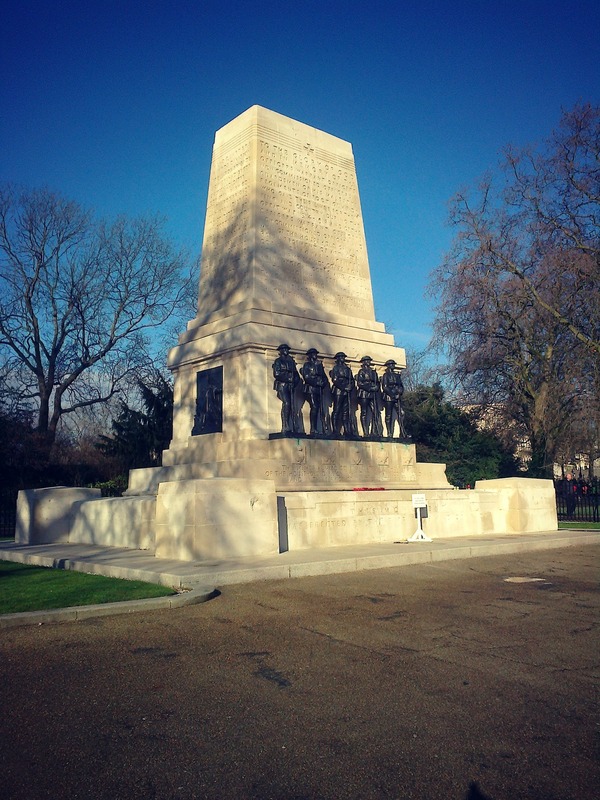 The Guards Division memorial at Horse Guards Parade commemorates 14,000 Guardsmen who died in the First World War, and was added to after the Second World War. The first design was inspired by Galloni’s Garibaldi monument in Rome, but it then evolved into a stocky and severe stone obelisk, against which stands a deliberatively stiff and formal row of five guardsmen. Ledward was instructed that each was to be representative of a soldier from each of the five divisions: Grenadiers, Coldstreams, Scots, Welsh and Irish Guards. Vernon March was an extraordinary artist. Untutored, he became the youngest exhibitor at the Royal Academy in 1907, at the age of 16. His greatest achievement is considered to be the Canadian National War Memorial in Ottawa and the memorial in Lewes is on a par with that. A bronze statue of Victory, facing east towards Flanders, stands on top of the memorial. On the west face is a seated bronze figure of Liberty holding a torch. On the east face is a similar figure of Peace with a dove on her left shoulder. Charles Bignold, a member of the founding family of the Norwich Union insurance company and Lord Mayor of Norwich, commissioned Edwin Lutyens – the leading architect of his generation – to design a memorial for the city’s war dead. Built in 1927, the memorial depicts a wreath-topped tomb chest with the carved and painted city arms. 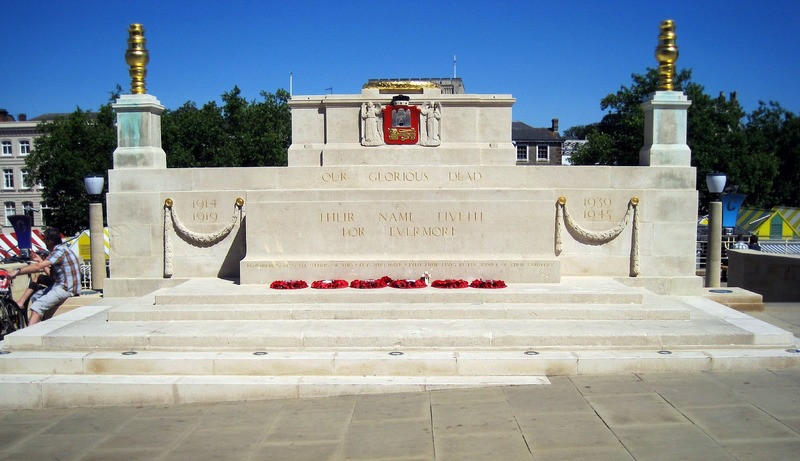 Listing War Memorials – It’s not known how many war memorials exist but the total runs to many thousands, of which far fewer than 10% are listed. Over the next 5 years, working with War Memorials Trust, we have pledged to double the number on the National Heritage List for England. If you know of a war memorial that isn’t listed, you can submit an application via our online form. 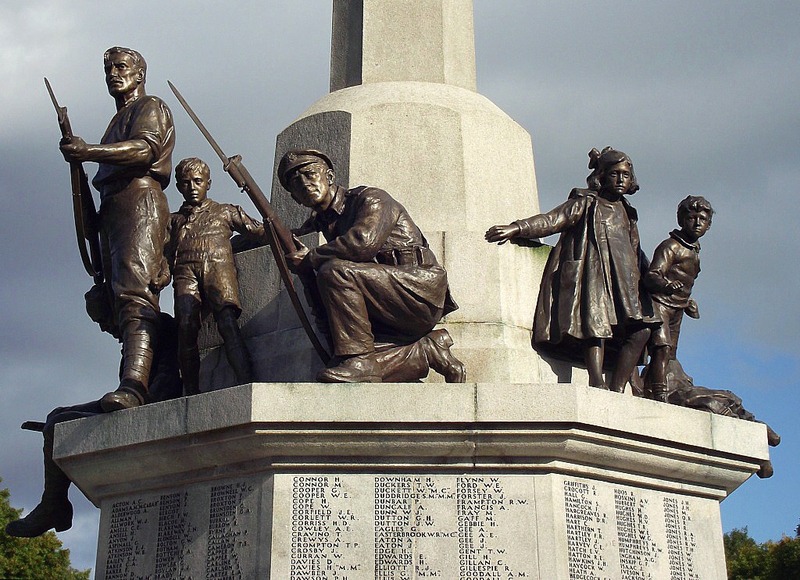 Repair Grants for War Memorials – In partnership with the Wolfson Foundation, we have made money available for the repair and conservation of free-standing war memorials in England. Check the condition of your local memorial and apply for a grant (ranging from £3,000- 30,000) if it needs repair. I know two of these war memorials intimately. Born and raised in Newcastle my late mother went to the Art School on the other side of the road, then King’s College, Durham. She often talked of this memorial, knew its history and had done studies of it as a student. 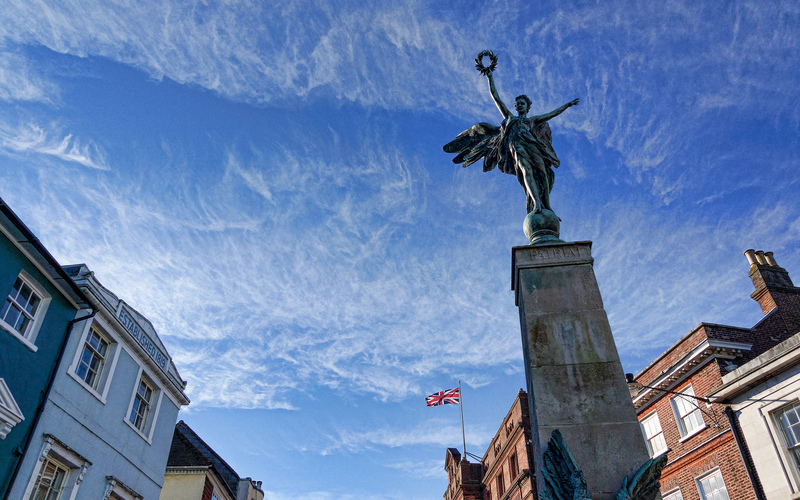 I know Lewes War Memorial as I have lived here for nearly 15 years. As a member of a bonfire society we stop at the memorial every 5th November … so whether there is a centenary or not, we make a lot of fuss about it. This memorial features online where Steve George has pinned every name to an address in the town. This make for very painful viewing as you realise how many households lost husbands and sons to the war. If I were to add a couple of other memorials it would be the extraordinary First World War memorial to mariners at Tower Hill with sumptuous stone carvings around the miniature garden where it is set, and the oddly incongruous memorial to the Machine Gun Corps at Hyde Park Corner which shows the figure of Boy David. I was a standard barer at a memorial to the 75th anniversary of the formation of the Machine Gun Corps in which my late grandfather had served … he was there too, age 94. Reblogged this on Enough of this Tomfoolery!.